Masha Rolnik (Marija Rolnikaitė) was born on 21 July 1927 into the family of Hirsh and Taiba Rolnik (Hiršas Rolnikas and Taiba Rolnikienė), who at that time lived in Klaipėda, but later moved to Plungė. Her father was a lawyer and her mother was a housewife. After some time the family with their four children – Miriam, Masha, Raja and Ruvik – moved to Vilnius. Right after the war broke out, they all tried to retreat to the East, but only Hirsh Rolnik successfully escaped. He spent the rest of the war in the 16th Lithuanian Division. On 6 September 1941, Taiba Rolnik and the children were imprisoned in the Vilna Ghetto. At that time Masha was fourteen years old. Despite her strong wish, Masha was unable to attend a school in the ghetto, because she had to work and take care of her family. 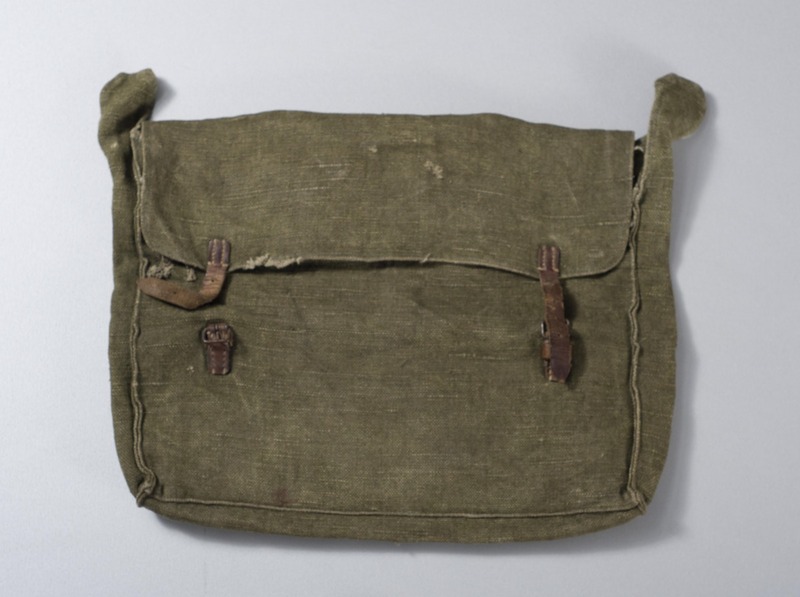 Nonetheless, she persistently believed that one day she will be able to continue with her studies and thus preserved her schoolbag throughout her imprisonment in the ghetto. In her memoirs Masha wrote the following: ‘Only during my first year in the ghetto I was still the same person. I was so worried that a new schoolyear was about to start and I was there, unable to go to school. It was so sad when the second schoolyear started without me… ’. In the process of liquidating the Vilna Ghetto, Taiba Rolnik with nine-year-old Raja and seven-year-old Ruvik were taken to the Nazi concentration camp in Auschwitz where they supposedly were killed in a gas camera. Masha was taken to the Nazi forced labour camps in Latvia – first to Kaizervalde, then to Strassdenhof – and finally to the Nazi concentration camp in Stutthof (Germany). Her sister Miriam was saved by Henrikas Jonaitis, a teacher, as assisted by priest Juozas Stakauskas. Hirsh, Masha and Miriam Rolnik survived the Holocaust. After the war they all met in Vilnius. Masha described her experience in her memoirs which were first published in 1963. Her book I Must Tell was translated into 18 languages. We met Masha Rolnik in July 1999 in her home in Saint Petersburg. It was then that she donated some of her personal belongings to the Vilna Gaon State Jewish Museum. Her schoolbag was one of them. ‘This is part of my life, part of me, the painful part…,’ she said when handing over the schoolbag to me. Masha Rolnik died on 7 April 2016 in Saint Petersburg.